These flowers and fruits are from one of the fastest growing trees around. Fast growth correlates with light wood and, of course, balsa wood, which is used for model airplanes and even in real airplanes, is among the lightest. 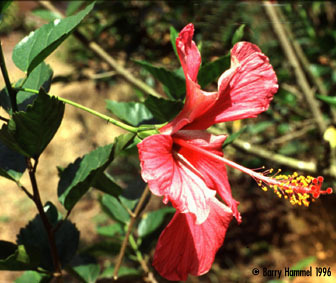 The mostly tropical Bombacaceae, as one might guess from the flowers--whose stamens are united in a tube--are related to the Hollyhock and Hibiscus family (Malvaceae). 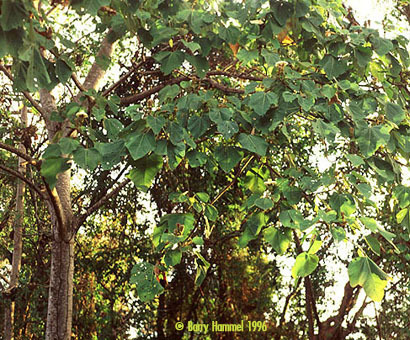 Only about 25 species of Bombacaceae are found in Costa Rica, but several others besides Balsa are economically important, including Pochote (Bombacopsis quinata) and Ceiba, the Kapok tree, (Ceiba pentandra).